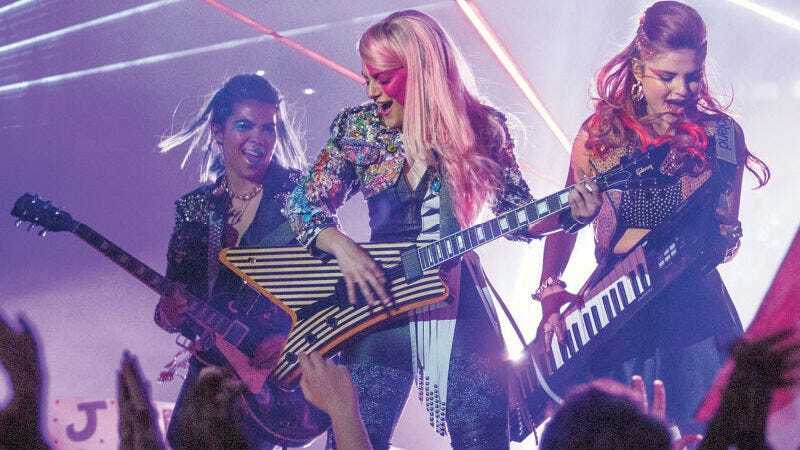 Jem and the Holograms, the 2015 cinematic reboot no one wanted, did so poorly at the box office that Universal has chosen to pull it from 2,000 theaters—and it only opened nationally two weeks ago. “Jem” came in 15th place its opening week in theaters, taking in $1.37 million on 2,413 screens. That’s $570 per screen. Things didn’t get any better for the movie its following week. In 2,417 screens, “Jem” took in $387,925. That’s only $160 per screen. To compare, the new “Steve Jobs” film, even when it was performing poorly in wide release, was making $1,080 per screen. For anyone who’s been paying attention to the making of Jem, this outcome seemed inevitable. From the producers neglecting to tap Jem’s creator Christy Marx for input, to omitting any actual holograms, to somehow building a 1980s story around a contemporary creation like social media, this film was doomed from the beginning. As my i09 colleague Charlie Jane Anders wrote recently, Jem failed in ways it didn’t even have to, by spinning a thin message about finding your true self and then not upholding it. It’s an unfortunate whiff: Aubrey Peeples, the actress who plays Jem, is good at her job when given a hearty character, as in Nashville’s Layla Grant. Let this be a lesson to any Hollywood producers who are combing through 1970s and 1980s franchises looking for “fresh” ideas: Do it right, or, please, don’t do it at all.